I envy those who have a clean house all the time! However, I will say that I’m proud of myself. In the months before I moved out of the old house it gave me an opportunity to do a big purge. This means that I moved into our new home with less stuff. Less stuff to end up in random places around the house. And, we are blessed to have a lot more storage, which means more places to put stuff! However, life is progressively becoming faster and faster. Keeping up with our jobs, family and errands, leaves us with practically no time for relaxation and contemplation. Amidst all that noise, who has the time to think, let alone deal with house cleaning. Still, it is something that needs to be done. Even though most of us tend to deal with cleaning in a marathon-like fashion, truth be told, it does not have to be like that. Being well organized comes with experience. It is possible to become an expert at organizing your daily routines. 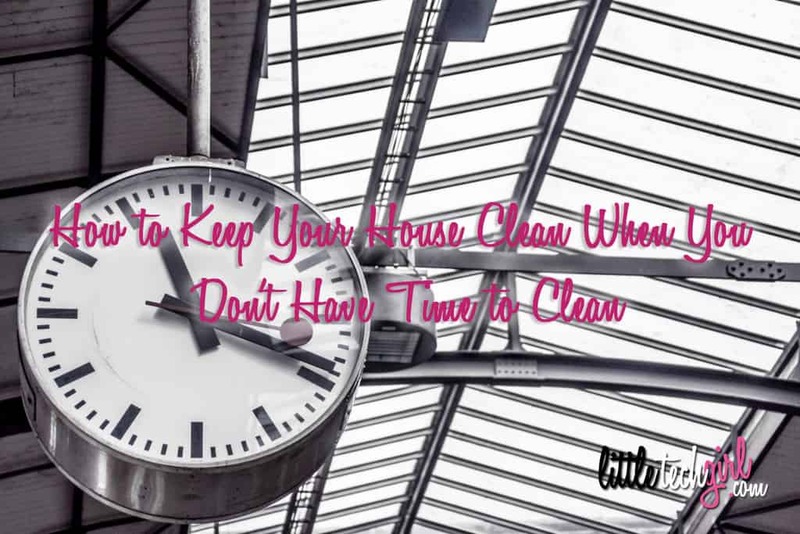 There are a few things that you can do in order to keep your house clean, even when you think you do not have the time for it. One of the biggest reasons we tend to feel stressed about cleaning can be found somewhere deep in our minds. We live in an era of perfection, and we are used to expecting perfection from ourselves. Unfortunately, that is not a realistic expectation. Letting go of it will take you the distance. Trust me… life is far more important than keeping your home neat and tidy. Lower your expectations. As long as you are dedicated to doing something around the house, it should be a reason enough to make you feel good about yourself in regards to this topic. I can admit that I am not a perfect cleaner. For example, if I cook a huge dinner, I am not likely to feel like loading the dishwasher and washing the larger pots and pans after standing on my feet cooking for 2-3 hours. I will put the food away, and the dishes will wait until the next morning. I have gotten better about cleaning as I go. I am still trying to get my kids to fully do this! If you develop the habit of cleaning as you go, you will be the champ of keeping your house gleaming. Whatever you may be doing, try not to leave a mess behind you! The best example is the kitchen. While you are cooking, at a certain point you will have no other obligations but to sit and wait for the meal to be cooked. Do not put your feet up in the air, but instead take that time to wipe clean your countertops and put away seasonings, and other items that you may have been using. Once in a while, take a look around the house and force yourself to get rid of all of those things that are simply clutter makers. Take an empty box and fill it with those knick-knacks, old newspapers and magazines. You would not believe what a huge difference it makes when you own only what you actually need. The more you have, the greater the risk of having a clutter packed household. I still have a few boxes and bags that I need to go through and do this. Although I purged before moving, there are still items that made it over that I don’t necessarily need. And if they have been in boxes or bags for the last few months, chances are that I do not need them at all. Whenever you pull something out of its place, make sure you put it back as soon as your done dealing with it. For example, in a perfect world, when trying out different clothing combinations, and settling on a particular one, you would immediately put the rest of those clothes back in the closet. I do this sometimes, but never when I’m in a hurry getting ready for work. Shoes can also make a mess of the hallway, so be sure to keep them stored in the shoe cubby, or under the bench. 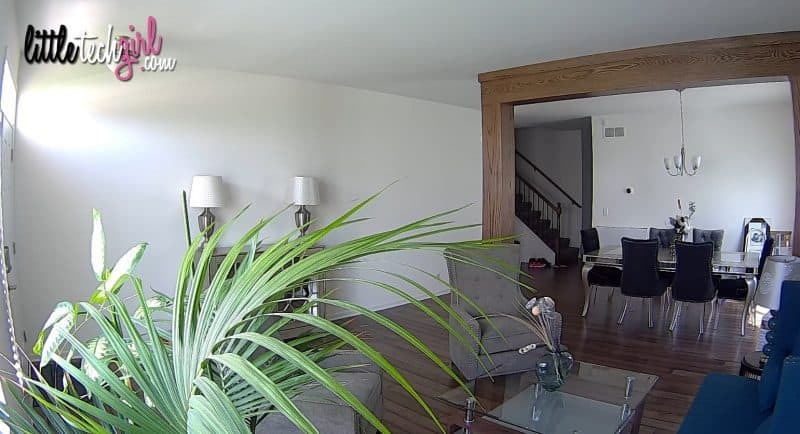 Every night before you go to sleep, set the timer for 15 minutes, and take a tour around the house in order to put everything that is misplaced back into place. This task is very quick to do, and that means you will not have any trouble with motivation for doing it in the first place. When I got into my kid’s rooms to say goodnight I always ask them to clean up the mess that is left on their floor. Why do kids throw everything on the floor? Delegating a few cleaning tasks to your family makes a huge difference. What you really do not want, is to have all that pressure riding on your shoulders. Make a brief to-do list, and have every member of the household responsible for at least one room. This way, everything is going to be done a lot quicker, and you will have an additional opportunity to bond with your family. We do this a lot when expecting company, and it makes cleaning go much faster. Turning on the dishwasher every night before going to bed. Doing a quick clean up of the bathroom. Wiping clean your kitchen countertops. Subsequently move on to making your weekly schedule. This list should include all of those tasks that are a bit more time consuming. Doing the dusting around the house. Changing and washing your bedding. If you are keen on having everything organized and well planned, you can make a monthly and a yearly cleaning plans as well. Be honest with yourself. If these chores stand in the way of you reaching your happiness and general well-being, then don’t do them! Start slow, and do what you can. Luckily, in this day and age, it has never been easier to find a helping hand. If you can afford it, consider hiring a cleaning service. However, be careful when hiring someone to deal with your messy home. Do a thorough background check on the company or the individual you would like to get in touch with. You want to hire someone with a lot of experience, someone who is efficient and reliable. If you are in the US, check out a company like Home Advisor. Overseas? Check out a company like Helpling – Singapore to read reviews and find the right maid.